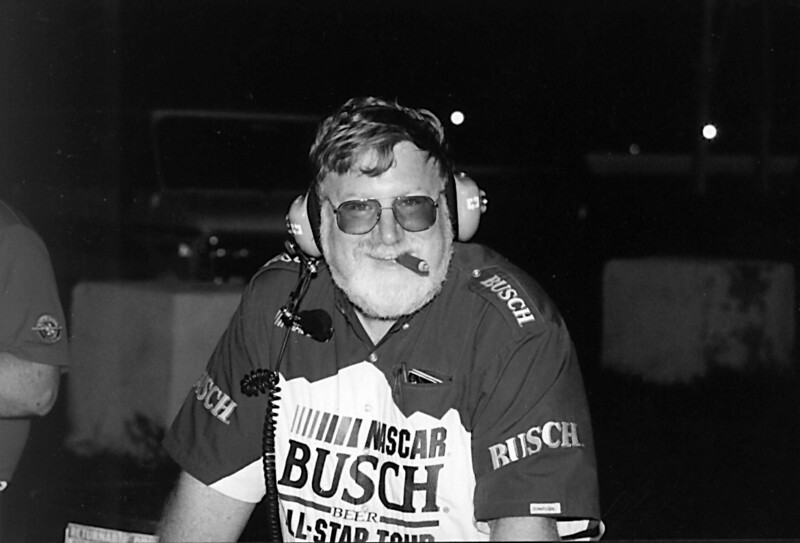 Assisted by my wife, I was the NASCAR All-Star Series media coordinator and traveled with the series from 1990-2001. Although I work at home now, I have held the same post with the WORLD Dirt Racing League since its inception in 2002. 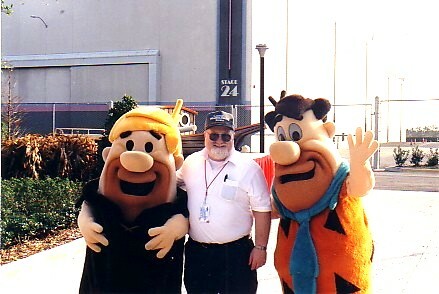 With Fred and Barney in 1995. I’m the “skinny” one in the middle! I will keep it short and sweet. I love the writings you post on your blog. Especially your story on the Benner Brothers. Phil, I am Ernie Derr’s grandson, I just read your article on my grandpa, it was very good piece and I thank you for writing a great article about him. He did not like to talk to about himself but the last several years his health was declining, he was suffering from Alzheimers so I think he was afraid and my grandma was afraid to have him talk alot to reporters because there were things he could not remember. I hope you understand. I know under normal circumstances he would sometimes do interviews and sometimes he didn’t. Thanks for remembering my grandpa!! Jeff Bennett (Nancy Derr Smith) is my mom.